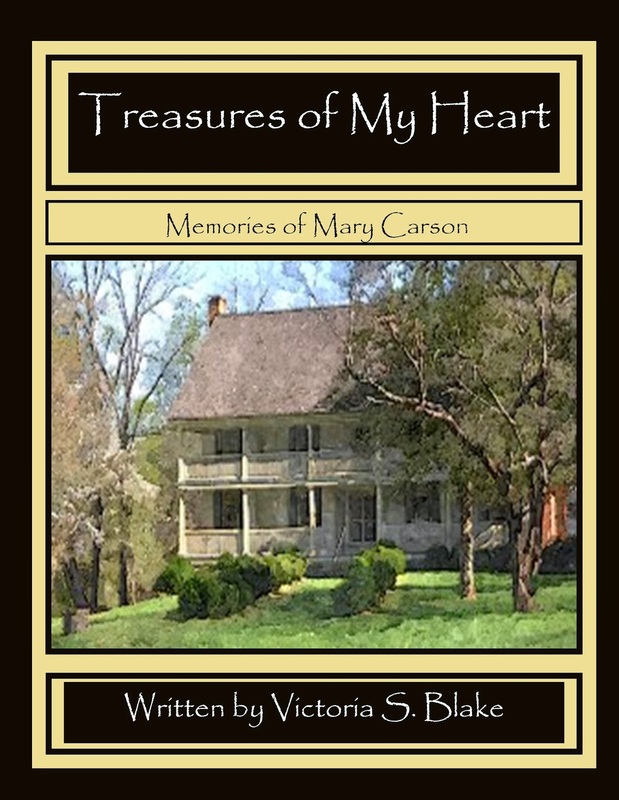 Treasures of My Heart is an emotional and touching story based on the Historic Carson House built in 1793 by Colonel John Carson. Mary Carson, wife of Jonathan Logan Carson, son of the Colonel, must make a heartbreaking decision. Due to her advanced age and failing health, she can no longer live alone in her beloved home. As her furniture is being moved and her mementos boxed up, she makes her final walk through the home with her daughter, Margaret and her granddaughter, Moffet by her side. Amid vivid accounts of Stoneman's Raiders during the civil war, a brother-in-law's duel, or tales of the underground railroad, Mary teaches her granddaughter powerful life lessons. The struggle of change haunts Mary, but she is resolved in what she must do. The stories set in the latter part of the 1800's will spark the imagination of children and enlighten them on bygone days of plantation life. It will encourage them to cherish their family memories . . . for it's their memories that will become the treasures of their heart. Today was a great day at Nebo Elementary School; I enjoyed presenting the writing process to their third and fourth graders. However, with the encouragement of Mrs. Julie McKinney, media coordinator, I shared a new presentation I have been working on with the fifth and sixth grade students. Although I presented some of the same information that is in the original power point, this new one focused more on the research I did while writing My Days with Nell. I think it went well! The students in all grade levels were respectful, receptive and attentive. They asked great questions, very thoughtful and challenging. A special thank you to Mrs. McKinney. She stayed with me throughout the morning helping me with the technological set up and was so kind and friendly. We realized quickly we had several friends in common and also share a love for the Biltmore House... which made for an instant connection! It has been such a blessing to meet all of the media coordinators in McDowell County. These are exceptional women, each has been professional, intelligent and gracious. I appreciate Mrs. Joyce Poplin, principal, for not only attending my first presentation, but welcoming me warmly and offering encouragement. For me, it has been a little daunting to be around educators and administrators in this endeavor - I am not a teacher - but I have been the recipient of generous compliments and reassuring words which I have deeply appreciated. This was my last scheduled Author Day; I have enjoyed each visit so much, and I will miss the time I have shared with them. I have discovered each school has their own personality, but the administrators, media coordinators, teachers and students have all been the same. I have been treated with kindness, respect and been given precious time to share my love of writing and all things Biltmore. I am grateful for that. I hope the students learned a little about the writing process and a few facts about the beautiful Biltmore House and the Vanderbilt family that called it their home. I thoroughly enjoyed my day at Old Fort Elementary School! First of all, I had an excellent and professional media coordinator, Mrs. Greta Fletcher, who offered her assistance to me throughout the day. She went beyond the call of duty to help in so many ways. As any educator in our public school system, I know she has a full schedule, but she took precious time to give me a personal tour of Old Fort Elementary School. This was my first visit to this particular school; I couldn’t believe how big it is! It is very well maintained and it is obvious the teachers and students respect the building and grounds. On our tour she introduced me to Old Fort’s principal, Mrs. Carolyn Hunter. I was so pleased that Mrs. Hunter came by to hear one of my presentations, I know how difficult that was with her hectic schedule. But I truly appreciated her attending. Mrs. Fletcher was so kind to set up my power point and allowed me to use her personal “clicker” so I could walk around while presenting the ”writing process” to the students. It was wonderful to be able to move away from the stationary laptop; I felt more connected to my audience. Speaking of my audience, I spoke to classes in grades 2-6 today. The students were sweet, respectful and attentive. I know I say that about all the classes I see, but it's true! They also asked thoughtful and creative questions. One student asked the dimensions of the Biltmore House… How wide? How long? Of all the schools I have had the privilege of visiting, this was the first question that stumped me! But I will find out! I hope to do a little research tonight and find the answer to his question. I never professed to know every answer, but I honestly love it when they ask something I don’t know. That makes me dig to learn more. I appreciated the “C” team that came to the media center and helped with “crowd control”. ;0) I know they tired of hearing the same presentation over and over, but they smiled and stayed with me all throughout the day. A special thank you to them. I saw some wonderful folks that I hadn’t seen in a while. Mrs. Greene, Mrs. Willis, and Mrs. James... such sweet, sweet people. I missed a couple of dear friends… I think they were absent today… Mrs. Glenn and Mrs. Carroll… I would love to have visited with them. It was a wonderful day at Old Fort proving once again the excellent educational system we have in McDowell County. I wish everyone had the opportunity to see students like I have seen them over the past few weeks as I have visited most of the elementary schools. They would be so proud. I have one more scheduled school to visit – I can’t wait – Nebo Elementary … Here I come! Today I had the privilege of having an Author Day at Glenwood Elementary School for students in grades 2-5. Glenwood Elementary holds a very special place in my heart. It is the school my son attended as a young child and where my husband worked for many years as a PE teacher. It is also the first place I worked when hired by McDowell County as a teacher assistant for Rose Bradley. My deepest appreciation is extended to Mrs. Caitlin Proffitt. She is an exceptional media coordinator, a wonderful professional. She made me feel "at home" and helped me with the technological issues of my presentation. She was a source of encouragement and kindness to me. I thank you, Mrs. Caitlin for making my day run so smoothly. You are awesome! I am constantly amazed at the students of McDowell County Schools. These Glenwood Dragon students were considerate and polite, which is a direct reflection of their parents and their teachers. Speaking of their teachers... these wonderful folks stayed with me, encouraged me, and made me feel so special to be among them. I loved seeing Mrs. Katie Carter, Ms. Leslie Hester, Mrs. Beth Silver, Mrs. Melissa Street, Mrs. Kathy Kaylor, Mrs. Dana Brewer, Mrs. Amanda Gaddy and many others that went out of their way to make me feel welcomed. I sincerely appreciate, Mrs. Amy Dowdle, who took time out of her busy schedule to come and listen to one of my presentations. It meant the world to me. From what I understand, that is typical of her as an administrator . . she takes a "hands on" approach and loves to engage with the students and it is apparent that she is loved by them. Having worked in the office at West Marion for over twenty years, I have a special appreciation for the "office girls". Thanks to Carol, Andrea and Wanda for always loving me. I really enjoyed seeing you and eating lunch with you today. You girls are the best! Today was a wonderful day. Tomorrow is Old Fort Elementary and then on to Nebo! I can’t wait to meet some more of McDowell’s finest educators and students. Book Review - Thank You! Boy - Did this make me smile? Thank you so much for the review! Ms. Blake has written an inviting story of days gone by when there was no concern for gradations of wealth or pigmentation, but where people -- rich and poor alike -- behaved with civility and decency to each other. On the one hand, the book is simply a narrative of the hospitable manner that the Vanderbilts were famous for -- whatever they built was ultimately built for everyone to share. They were a unique family, and whether one studies their behavior in Newport, where the children had responsibilities even in a tony mansion, or at the Biltmore house in Asheville, they always exhibited calm, politeness, and respect for fellow men. This book captures that simpler time in western North Carolina, and gives the reader a flavor of what it was like to live more than 100 years ago in that region. 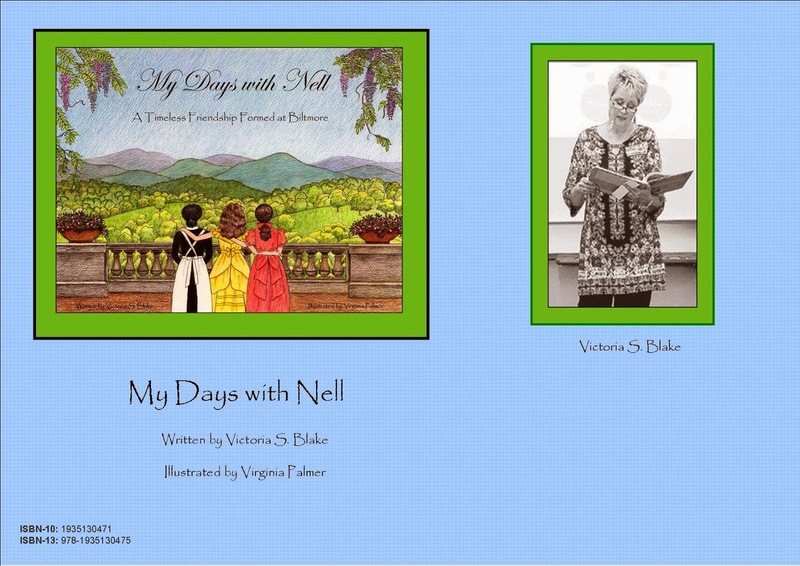 Ms. Blake has drawn on her own family experiences and stories to recount a beautiful story for young girls. But the book also captures another story -- that of how the poor, or the black families, or the poor and black families, lived in western North Carolina of the time. There were no large slave-owning plantations in the hardscrabble mountains of Western North Carolina and Eastern Tennessee. It was no panacea for black families, who tended to be of the servant class, but everyone was a servant in one respect or the other, and they were treated with dignity. The reaction of the Vanderbilts -- a wealthy family -- to the plight of a young, sick, black (although the book does not explicitly say so) orphan is worth study and might be a good historical teaching book for home-schoolers or third grade classrooms. The Vanderbilts took an orphan child in and helped to educate her. They gave her a job and a place to live. They re-assigned her duties when required. Those were all charitable responses. But would they be acceptable charitable responses today? Would we demand -- or expect -- more today? That the child be educated and sent to college? Or is civility and respect enough to let everyone flourish as best they can in the world in which they grow up? However one answers those questions, this is a remarkable book for creating discussion and its silent lessons will stay with young readers.